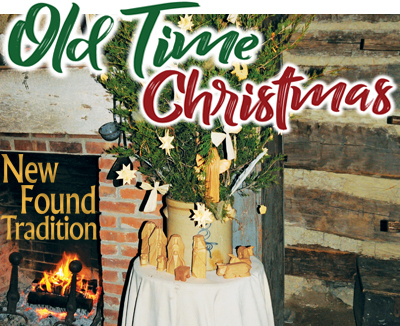 Whether familiar or experiencing anew, Quiet Valley Living Historical Farm’s 27th Annual Old Time Christmas returns with an astounding glimpse at customs December 9th and 10th. 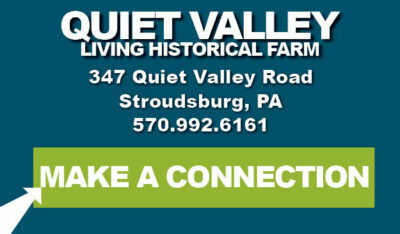 Start your own tradition as these peaceful winter farm outings inspire with a look at 19th century holidays through re-enactments and living displays. Costumed guides lead softly lit lantern tours through the farm every 15 minutes from 3 to 7p.m. with stories and scenes of good cheer that take guests on a journey to the 1800s. Celebrate with music and caroling alongside schoolhouse carolers with excitement building as all await a special visit from Belschnikel—the traditional Pennsylvania German character that appears to remind children it’s never too late to think twice about being nice! Complimentary hot cocoa and cookies add a finishing touch with handcrafted treasures for sale in the holiday gift shop. Considered an ideal outing for scout troops, church groups and family get-togethers tours take about an hour and a half to two. Admission is $10 for adults and $5 for children ages 3 to 12 with under age 3 admitted free.